If you are searching for an easy, yet delicious and impressive dessert to make, look no further! 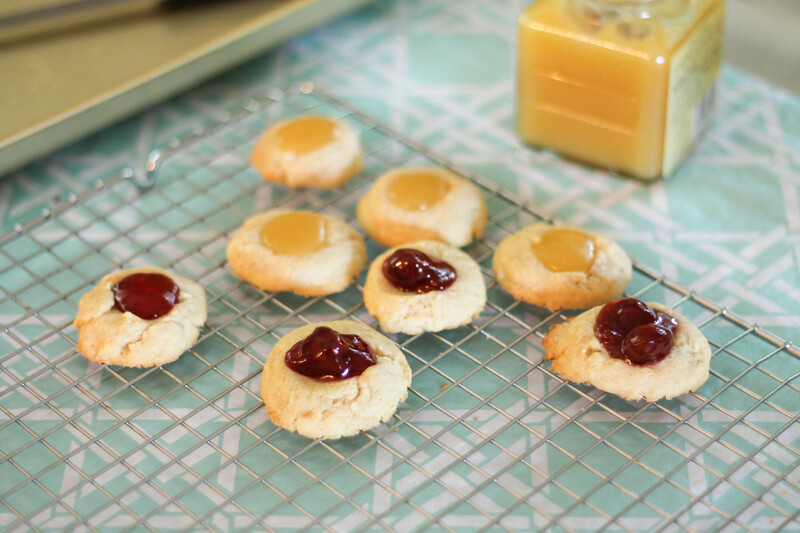 These yummy little cookies are super fast to make (they are basically shortbread cookies) and can be filled with any filling you want, depending on the occasion. While we kept ours simple on the outside, the cookies can be rolled in chopped nuts for a more interesting texture. 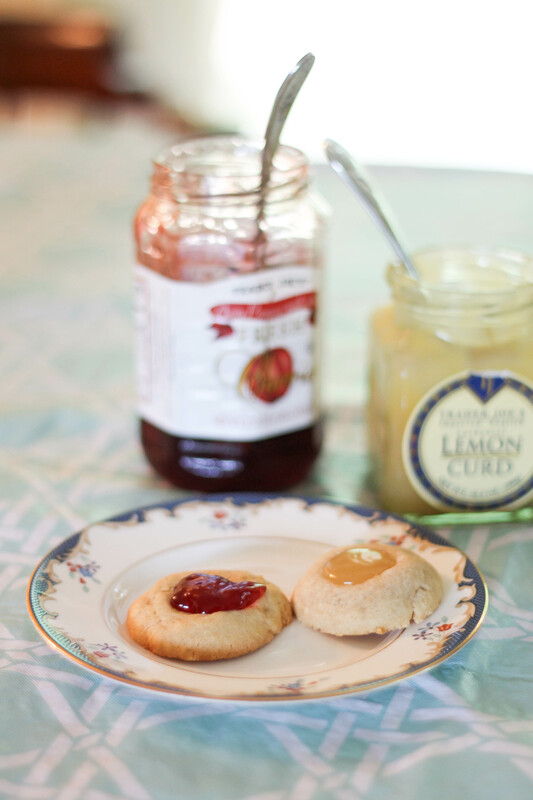 We filled half of our cookies with lemon curd, and the other half with cherry preserves. Chocolate ganache would probably be another awesome filling! We made these on a whim, so we didn’t make homemade curd, but that would ideally be the best way to go. Enjoy! 1/3 to 1/2 cups fillings: use jams, curds, ganache, frosting, etc. Beat butter with an electric mixer on medium to high speed for 30 seconds. Add sugar. Beat until combined, scraping bowl. Beat in egg yolks, vanilla, and almond extract until combined. Beat in as much flour as you can, and stir in any remaining flour. Cover and chill dough about 1 hour or until easy to handle. Grease a cookie sheet; set aside. Shape dough into 1-inch balls. Place 1 inch apart on the prepared cookie sheet. Press your thumb into the center of each ball. Bake in a 375 ˚ F oven for about 10 to 12 minutes or until edges are lightly browned. Transfer to a wire rack and let cool. Just before serving, fill the centers. Note: to roll cookies in nuts, dip the dough balls into the egg whites that were not used in the cookie dough, and then roll in 1 cups walnuts or pecans.